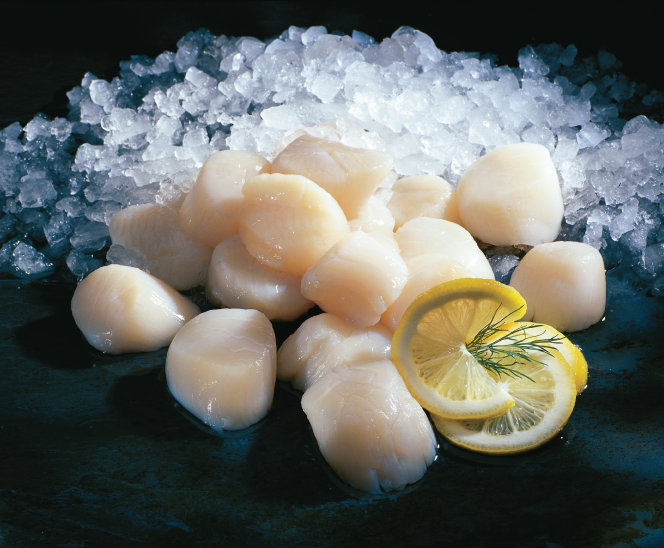 Our premium line of Canadian scallops includes offshore frozen-at-sea and inshore production. Fisher King scallops are ideal for both sashimi and white table cloth applications. We accurately grade for uniformity, low piece count and individually quick freeze for optimum consistency. For stable price, supply and quality, sweet tasting Fisher King scallops are the natural choice. Fisher King is pleased to offer a new item to our list of seafood that customers have come to rely on us to supply. With our new partner, Nichirei, we now have a full range of sizes of Japanese scallops to offer year round from the most discerning buyers in Japan for our customers in North America. These very high quality Japanese scallops are suitable for sashimi, sushi, soups and more. Please use our email form to contact us for current pricing and information. Please note: our minimum order is 1500 lbs.